Are you a man that takes cycling serious? 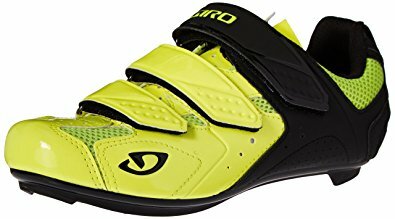 You need the best cycling shoes for men to keep your feet comfortable and secure while riding. You can find an overabundance of sneakers available from reputable brands online. However, choosing one made for your cycling needs is tricky. You need a pair of shoes with a comfortable fastening system, durable outsole, perfect fit, and offers you a cleat style. Do you need a perfect pair select one from our best cycling shoes reviewed here and uncovers a pair that works for you? The Tiebao cycling shoes for men has a unisex design that is suitable for women to wear as well. The sneakers perfect for indoor and outdoor cycling. An anti-slip lining wraps up the heel and prevents your foot from lifting while pedaling. For a secure fit, it has a triple hook loop strap with quick closure and comfortable to wear. The toe box has a PVC toe cup to keep the toes protected from rock strikes. The upper constructions fiber & mesh and makes the shoe lightweight on the feet. The MD outsoles help you pedal faster and have a double injection of fiberglass nylon. The insoles perforated to keep the feet dry. The Tiebao is an excellent cycling shoe for entry-level cyclists to wear. Another benefit is that you can pedal on SPD, SPD-SL, and KEO style pedal platforms while wearing this shoe. 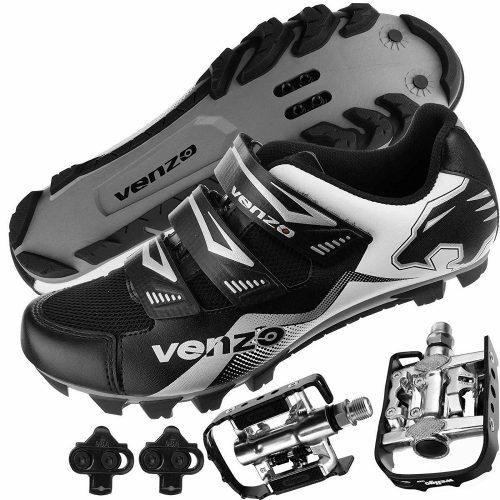 The Venzo brand does not only offer you a mountain bike shoe but the versatility to use them with different pedal platforms. You can wear the sneaker with or without cleats and has a quick drying breathable upper mesh structure. The sockliner you can remove, and it has a low-cut design making the shoe lightweight on the feet. The forefoot is flexible and makes for a great running shoe as well with the beveled heel. The footwear you can use with Shimano SPD pedal systems, and you get a year warranty included. As a bonus when purchasing the Venzo mountain bike shoes you also, receive the Wellgo Pedals included. The pedals made of aluminum and have a silver body with black cage. The next cycling shoes for men are from Shimano. Yes, they make road bike shoes as well and not only bike parts. Are you an entry-level rider? You will be happy wearing this SHR065 sneaker on your feet. The footwear will help with improving your pedaling. The upper of the sneaker has a breathable mesh design while the outsole offers the best traction. 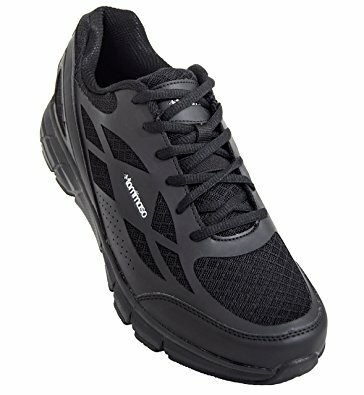 For reliable foot support, Shimano has added a dual hook and loop strap and the outsoles made of glass fiber and nylon. The upper part of the shoe also has a leather structure and the sneakers compatible with SPD-SL and SPD cleats. For long-lasting wear, it has a Dynalast footbed and the fasteners not included and sold separately. 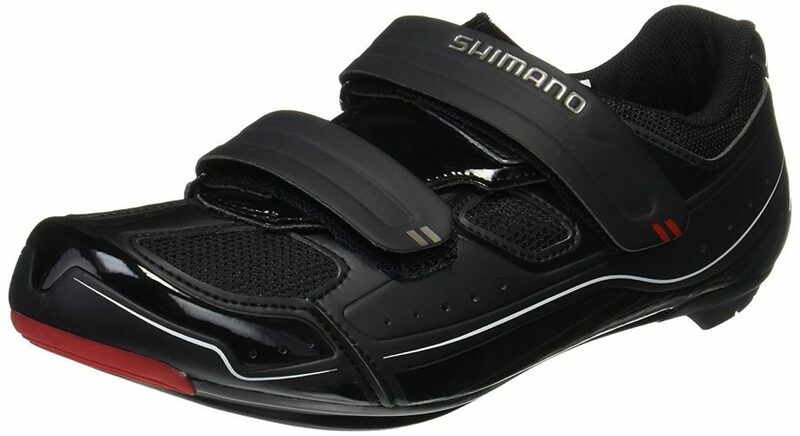 For pedaling comfortably, the Shimano RP1 men’s bicycling shoes are perfect. You get a comfortable fit with fantastic support. The footwear upper had a leather design and the outsoles lightweight and reinforced with fiberglass and nylon. For a reliable fit to keep your feet secure, it has a dual hook and loop strap you can adjust. You can wear the shoes for indoor and outdoor cycling and is SPD and SPD-SL cleat compatible. On the exterior of the sneaker, there is a visible reflective print and great for riding a bike at night. The upper of the Pearl iZUMi cycling shoes for men has a bonded and seamless structure. For the best fit, you can use the anatomic three-strap closure to help remove pressure from your feet. For stiffness in the outsole, it has a nylon composite power plate and makes it lightweight on foot. The rubber outsoles lugged for traction and great to use on and off the bicycle. The sneakers SPD compatible and have a select insole with arch support. The Tommaso Milano is a casual sneaker that is perfect for commuting and cycling every day. The cushioned sole gives you comfort to wear these cycling shoes for men throughout the day. The inner shank plate adds power to your pedal, and the sneakers come with a two-year warranty. The bicycle shoes lightweight and have the correct cleat mounting. 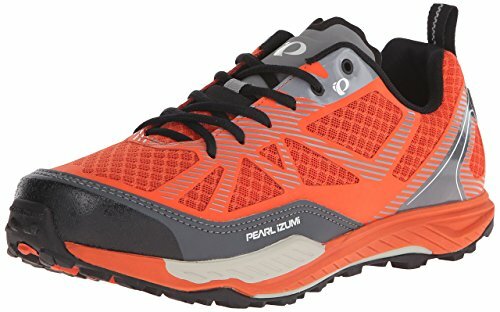 For a functional and fashionable pair of cycling shoes for men pick the Pearl iZUMi X-ALP Seek II sneaker. The athletics shoe has a low cut design and is light on the feet offering you a perfect fit. The nylon plates comprised of injected fiber composite to give you pedaling power and have an EVA outsole and midsole for cushioning and comfort. The outsole has carbon rubber traction for durability, and it is SPD compatible. These are lace-up cycling shoes and perfect for commuting and cycling. 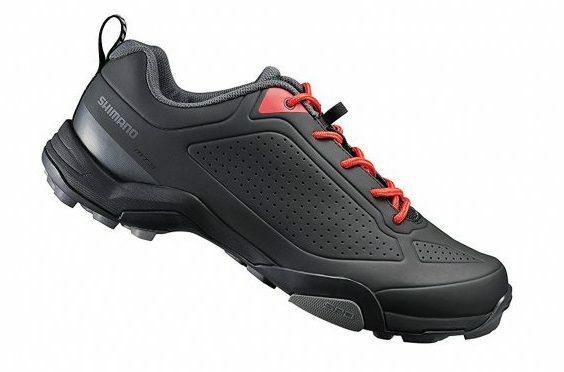 Whether you enjoy a casual to rough trail ride the cycling shoes for men from Shimano is perfect. The Sh-MT3 athlete’s shoe has an EVA midsole with a rubber outsole to help make pedaling and walking a breeze. For a secure fit, the sneaker has a one-piece construction, adds durability, and makes it lightweight on the feet. The leather uppers perforated and have a non-compressed insole with simple lacing closure. 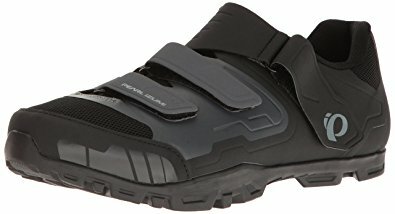 The cycling shoe works best with the PD-T8000 pedal from Shimano. For a highly breathable pair of cycling shoes for men, nothing comes close to the Giro Treble II Bike Shoes. With the classical three-strap closure you can make sure, the sneaker fits perfectly and snug. The universal cleat mount system allows you to use the shoe with two or three bolt cleat patterns. The footbed is EVA molded and gives fantastic arch support and anti-microbial treated. The outsole comprises injected nylon for comfort and traction while the uppers breathable to keep the feet dry and ventilated. 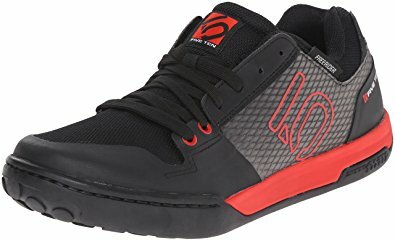 The Five Ten Freerider cycling shoes for men is suitable for mountain bike riding. There is extra toecap protection to keep your feet safe from rocks and more. The outsole has a Stealth Mi6 rubber construction with a stiff molded EVA midsole. The textile and synthetic uppers abrasion resistant and breathable to keep the feet dry. You can use the sneaker for all-mountain flat pedaling. Whether you are high-flying through mountain trails to running on flat roads, you need a great pair of athlete’s shoes. We hope that our best cycling shoes for men reviewed here help you to find a couple best suited to your needs. Each brand offers you durability, versatility, and comfort to enjoy long bike rides to walking to work.